The Nordics and Latin America are among the regions that will get the hit drama from Taylor Sheridan, which stars Kevin Costner and launched on the U.S. version of the Viacom channel last year. Viacom’s Paramount Network International said Monday that it has acquired seasons 1 and 2 of Yellowstone, the hit drama that launched in 2018 on the U.S. version of the channel. The series, starring Kevin Costner, will premiere on Paramount Networks in the Nordics, Hungary and Poland in spring, followed by the U.K., Latin America, Spain and Italy. The show will also be available on the Paramount+ streaming service in select territories. Looks like it’ll be a Duttonly Christmas after all! 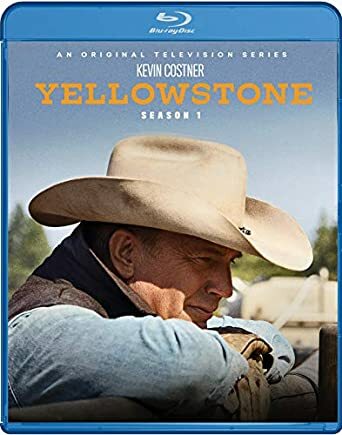 Amazon has dropped the good news that Yellowstone: The Complete First Season will be available for DVD & Blu-Ray on December 4th and that it is now available for pre-order! Pre-Order it using the Amazon link and wait cosy knowing that Sant John will be bringing home some cowboys and cowgirls for the holidays. We’ve pre-ordered a couple of copies so that we can do some giveaways with them for Christmas and in the new year once they’ve released so stay tuned for more info on that and don’t forget to join us on Twitter, Instagram and Facebook for more Yellowstone news and photos. Look who’s about to Darhken Yellowstone‘s doorstep. Arrowverse alum Neal McDonough has boarded Paramount Network’s hit Western in the recurring role of Malcolm Beck, our sister site Deadline reports. Beck is described as a wealthy business mogul who runs a casino with his brother, Teal. Together, they’re “down and dirty fighters” who know how to work the system to get what they want. Yellowstone, starring Kevin Costner, emerged as this summer’s second-most watched basic cable drama, trailing only a little show called The Walking Dead. Season 2 was greenlit after just four airings, helping it earn a spot on TVLine’s Summer TV Winners & Losers list. With only two episodes left of the season, the writers are throwing so many new wildcards into play! Between Walker, Rip’s new troubles with the law and Kayce’s worry over Monica, Jamie’s political desires, Beth facing some demons and John’s failing health, who knows how things are going to end.